If there is something that 99.9% of the population of the world wants, it’s to live a happy and healthy life. But how can we take steps to make our own lives happier and healthier? Sometimes it seems like too much for one person to control. 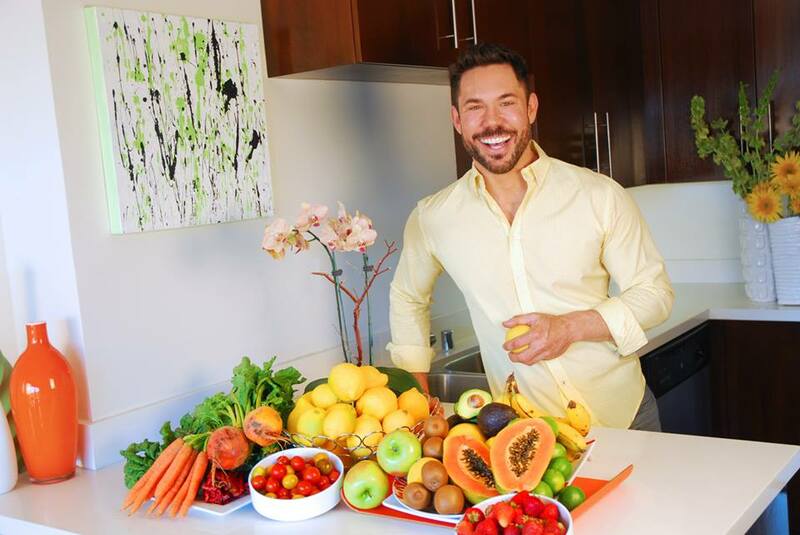 Enter Jay Bradley, the Canadian, LA based wellness, anti-aging and lifestyle coach. His positive energy and genuine graciousness radiates in all directions. I met him recently when he stopped over in Toronto to promote his new book LIVE LOOK FEEL at Indigo. Through his own experience of overcoming constant bullying, depression and illness to become an international model, actor, television host and lifestyle coach, Jay made it his life-mission to create and teach others how to take action to make a positive change in their own lives. His book is a week-by-week program that offers readers practical solutions for life through a “recipe” of steps that inspires and motivates. 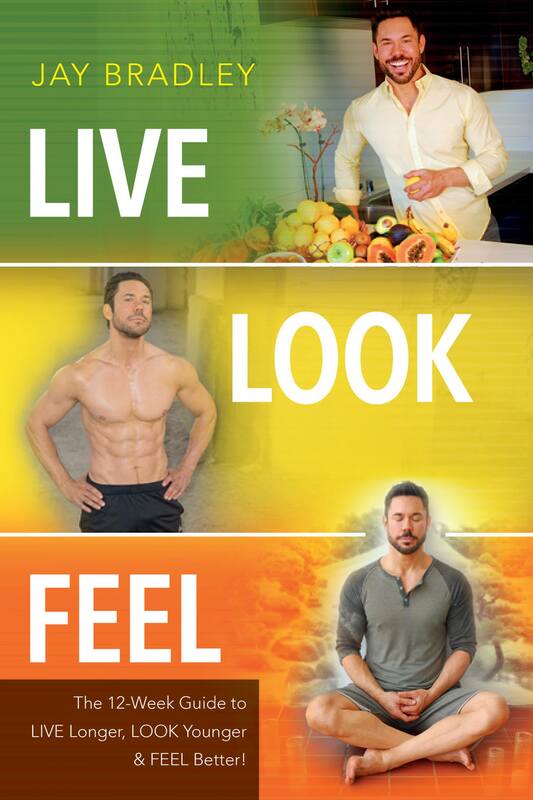 Jay believes that in order for all of us to look and feel our best, we must start from the inside by releasing fears and obstacles while also taking full control of the outside by managing our health. I had a chance to chat with Jay about his new book and finding happiness. Sonya: Taking charge of our own lives is important. What are some areas in life that you think are important to focus on while our kids are still young? Jay Bradley: The most important thing to focus on while your kids are young is to carve out time for yourself! Make getting centered a priority. Things like meditation, journaling and reading will help you to find emotional and spiritual balance. I know finding the time can be difficult but doing so will help to relieve some of your stress and also teach your kids from a young age the importance of taking time for themselves and will ensure that they learn to put themselves and their well-being first. I also believe that developing a healthy lifestyle with proper nutrition and exercise sets a great example for our children. Kids learn by what we do, more so than what we say. S: What should we be doing right now to get started on our journey? J: Just to reiterate, the first tip that I recommend to EVERYBODY is to create a 20-30 minute morning practice which involves quiet time to meditate, journal and read inspiring books. This is the best and most important habit that you can do for yourself to ensure a happier life. Exercise of some type is a must for everybody! It won’t always be fun but it is essential if we want to live a long and healthy life. Cutting out or lowering sugar and simple carbohydrates is definitely also at the top of the list. Numerous studies show that sugar is the culprit to inflammation in our body which in turn, can lead to disease, weight gain, and more. Also, it’s so important that people discover their passion or calling in life. If we feel happy and passionate about our day to day experience, we will not only increase our odds of living longer but we will have more joy along the way! Making this a priority is possibly the most important decision that we can do in our lives. S: I’m all for wellness, living a healthier life and mindfulness but you’re also an anti-aging coach and I want to know what’s wrong with aging? J: There is definitely nothing wrong with aging and in fact, it’s something that we can’t escape! I am all for embracing aging gracefully if people decide that’s what they want but many look into the mirror and don’t like what they see. Once people are doing the inner emotional and spiritual work and they still want to make improvements or changes in the way they look, it is an act of self-love to do so. The bottom line is that we all deserve to feel and look our best and if working to turn back the clock brings us joy, then do it. We should never feel guilty for wanting to look younger or refreshed. Anti-aging isn’t always about making physical changes however. It is also about being younger biologically by making better food, exercise, and lifestyle choices. It is totally possible now to have a chronological age of say 70 but a biological age of 45 or 50 by making smart day to day decisions about our health and well-being. S: What do you love to do for fun? What’s your fun fuel? J: I enjoy doing abstract paintings, playing the piano and singing, and spending time with friends. In the book I talk a lot about being more childlike and creative in order to reduce stress and help to keep us youthful. I definitely do that as often as I can. S: What’s the best advice you ever received from your own mom? J: Just by being a loving, gentle person, my mom taught me by example to follow my heart and do what brings me joy.